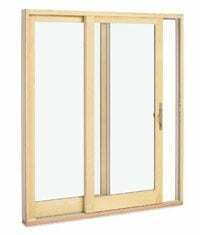 Why do Marvin Integrity patio doors stand out from other patio doors? One reason is that the frames are made with Ultrex,® a pultruded, patented fiberglass that outperforms roll-form aluminum, vinyl, and other fiberglass composites. These high-demand patio doors endure all the elements without showing signs of wear, all while insulating your home from outdoor temperatures. You can count on Integrity from Marvin patio doors to resist fading, cracking, peeling, and chalking to keep your Naperville area home looking great for years to come, with little to no maintenance on your part. The Marvin Integrity In Swing French Door presents an elegant way to say “welcome”. Stainless steel multi-point locking system seals the door in four locations-head, sill, deadbolt and keyed cylinder-for stability and security. Adjustable hinges mean that as a home settles and shifts over time, it will still open and close easily. Adjustable hinges mean that as a home settles and shifts over time, Integrity’s swinging door will still open and close easily. Hinges are available in Goldtone, White, Gray, Almond Frost, Dark Brown, Brass PVD, Satin Nickel PVD, or Coastal Dark Bronze. Traditionally-styled handles available in White, Almond Frost, Brass PVD, Satin Nickel PVD and Oil Rubbed Bronze PVD. PVD is the highest grade finish available and offers superior corrosion resistance. Add an elegant, authentically French look to any home. A dramatic wide rail highlights this door’s beautiful rich wood interior. Available in two-panel and three-panel configurations and many popular sizes. Thin, low-friction polycarbonate track combined with dual ball-bearing rollers provide smooth and easy operation. Traditionally-styled, ergonomically-designed handles. Features a keyed cylinder and a dual point lock for added security and performance. Available in White, Almond Frost, Brass PVD, Satin Nickel PVD and Oil Rubbed Bronze PVD. Everything you want in a sliding door: Contemporary lines enhanced by a large, daylight opening and a beautiful wood interior. The door glide is effortless and designed to withstand the elements with the exterior strength of Ultrex. Choose from two-panel or three-panel configurations in the most popular sizes. 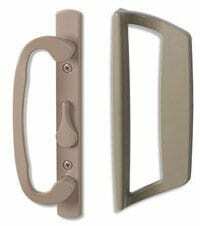 Exterior handle available in White, Pebble Gray, Cashmere, Bronze or Evergreen. 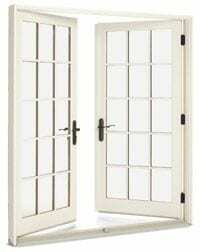 While the interior handle is available in White, Almond Frost or Brass. 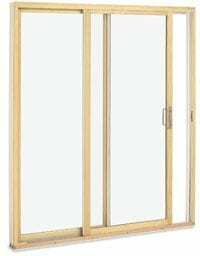 The Integrity In-Swing French Door presents an elegant way to say “welcome.” The stainless steel multi-point locking system seals the door in four locations — head, sill, deadbolt, and keyed cylinder — for stability and security. Adjustable hinges mean that as a home settles and shifts over time, Integrity’s swinging door will still open and close easily. Hinges are available in Goldtone, White, Gray, Almond Frost, Dark Brown, Brass PVD, Satin Nickel PVD, or Coastal Dark Bronze. Integrity from Marvin patio doors are Built to Perform® with all the features and benefits you need to receive doors that fit your unique home and preferences. Next Door & Window is proud to offer these doors for our clients throughout the greater Naperville, IL, area because our focus is to provide the highest-quality products built to each homeowner’s exact specifications and install them with the utmost care and precision. Contact Next Door & Window to take the next step toward upgrading your patio doors.